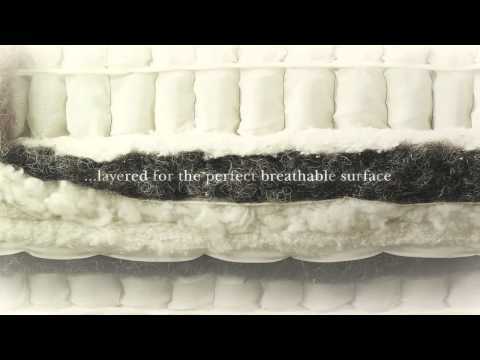 If you're investing in your sleep and want something of quality that will last - choose Vispring. The Dartington is one of our best sellers because of its soft and sumptuous feel. A must try! The bed is hand-made to order in either a soft, medium or firm comfort level and filled with copious amounts of all natural upholstery including Platinum hand teased British fleece wool and cotton then layered around hand nested vanadium pocket springs. This mattress is perfectly paired with the Vispring prestige pocket sprung divan with over 950 pocket springs in the average king size bed. The finest quality beds, world class British craftsmanship and fantastic comfort.